We’ve been following Afour’s custom footwear business for a while. Today, we’d like to showcase it on our blog. Vladimir Grigoriev, Afour owner, told us how he started his business during times of crisis, learned a new skill on his own, and is now selling handmade footwear all around the world. Was it your initial plan to create footwear or did it happen by accident? I studied economics but at my last year in university I realized that I didn’t like it at all. I left my studies and started work as a graphic designer because I’d been into design for a long time. But my friend called and invited me to join Afour (“A4” at the time) as a designer and marketer. 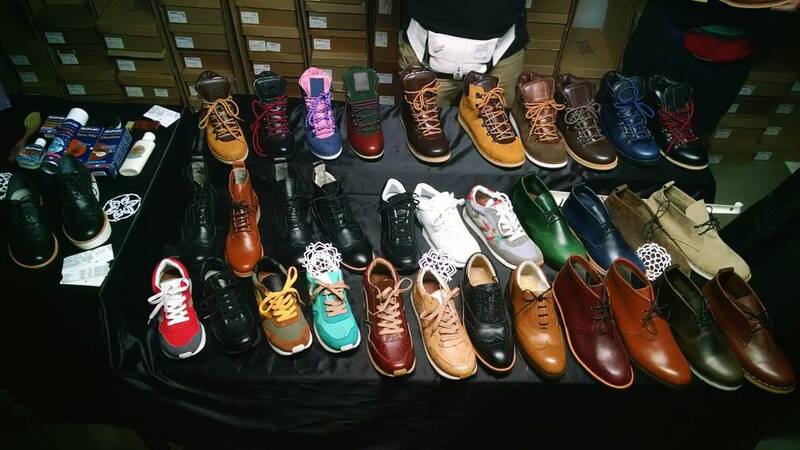 A4 was a classic shoe studio that made shoes from scratch for each customer. It was a long and expensive process. 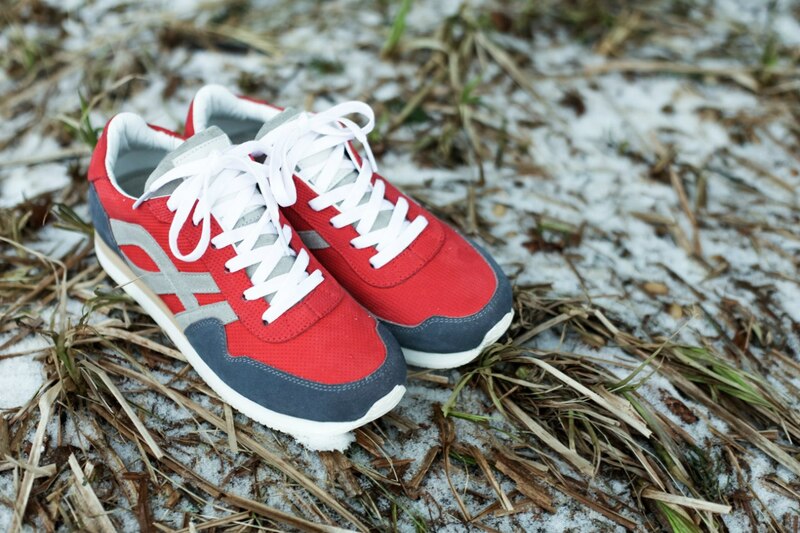 We offered common designs — less classic, moreso resembling trainers and sneakers. And I came in to the project with a clear idea of how to optimize it all. How did the idea of today’s Afour occur to you? My friend offered me a pair of custom sneakers with a unique design and I thought: Wow, I’ll make my own label sneakers! But it wasn’t that easy. I spent forever on design, even though I was a designer myself. And it was no good. All I came up with was either copies of famous brands that I liked, or a total mess. Just imagine: You’re given an empty sheet of paper and told that whatever you draw can be sewn. You realize you have no idea what to do! Customers don’t want freedom, they need a choice. We decided to develop some standards for our shoes, allowing us to increase the quality and speed of our workflow and eliminate customers’ uncertainty. The project needed both freedom and skills. I shared this with my friend, who liked the idea; and that’s how I joined the business. We created several basic shoe models and started offering custom designs based on those. How did you manage to become the business owner? My friend was going to close the business because he couldn’t stabilize the sales process. The studio was classic, but the product wasn’t — he didn’t know who to sell it to. We were getting one order per month, plus the creation of the shoes themselves took forever. The first attempt at each new design was never good enough. We created two shoes at one price — one sample, and another for the client to try out. We couldn’t make a profit like that. I didn’t want to dance to the client’s tune so I left the marketing business and started to learn shoe manufacturing. Then came the crisis of 2008 — our customers stopped buying extras. My friend gave up, even though I explained that we were just starting out with a new concept and shouldn’t expect success right away. But I was left with all that stuff. With nothing, actually because we didn’t have our own manufacturer or sales points. I was so deep into shoemaking that I didn’t want to go back to marketing. I gave up everything I had and started looking for ways to revive Afour with a new look and more opportunities. Was it your idea to have a shoe constructor on the website? Yes, but it came to me later. At first, we created shoe templates with ready-made details and proven brim. Our first order forms were basically children’s coloring pages. We sent a blank shoe template along with a color palette to the customer and they would fill it in with the colors of their choosing. Our first order forms were basically children’s coloring pages. The order process needed simplification, so we started offering the same coloring service online. We wanted it to be realistic. As a result, we got a constructor based on product photos. I didn’t even realize the same thing existed abroad until after we launched. I found the early edition of the NIKEiD constructor and thought we were doing alright for ourselves, especially keeping in mind our lack of money and specialized skills. But in the face of competition, we needed to move on, not give up. When did you add an online store? Even before we got the constructor. It used to be a simple order form on the website, but I realized that the product catalog was more convenient for customers. Plus I wanted to automate the payment process. The first thought was to hire a developer team, but that cost was too high to start with. Then I ran into e-commerce widgets. Ecwid had just appeared then. I liked the tagline, Let’s build Ecwid together! and the idea of forums where every person could lift up an idea and vote on it. Ecwid exceeded my expectations for an online store. I purchased a paid plan, which meant that there was a full team of Ecwid developers that kept my store functioning. Plus there were great customization opportunities. I even managed to add Flash to my store. It was a perfect solution: Strong, centralized technical support which still made room for my own contributions. You can customize your Ecwid store any way you’d like. Now there’s an option to order an individual app, but it’s unlikely to gain many votes on the forum. It’s way too cool. We’re going to apply for a better constructor. 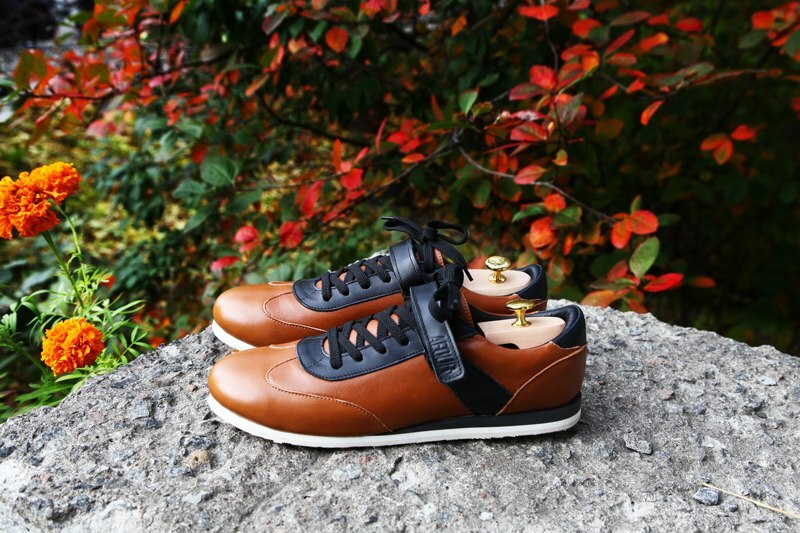 You built the online store yourselves, but what about the shoes? Seems like a more complicated task. Same story. I like to learn everything by myself and outsource things afterward. During our relaunch I learned every step of the shoe manufacturing process. I learned to cut, sew, mold, and tighten the shoes, as well as pack and finish the orders. I realized I wouldn’t be doing it in future, but it was important to know. For almost two years I made every shoe by myself. Now the demand is growing and so has the team, so some things are being outsourced. How did you learn shoemaking? I had no teachers. All I did was search the internet and take friends’ advice. Practice and experimentation was key. Older folks in the shoemaking business are confused by our approach, but we invent new things all the time. It’s not always effective — sometimes we have to go back to the traditional approach. But some of our methods are much more productive than the classic approach to manufacturing. We’ll stick to those but move on from the others. While I was working alone, a shoemaker visited me on the weekends to tighten the shoes. I kept sewing and cutting and he tightened, because it’s the most important part of the process. You can be very talented at shoemaking, but your product won’t work without experience. You must really feel the skin and the pads of the shoe. It takes about five years to practice this method. Obviously I didn’t have that much time, but I learned all the principles. How many people are there in your team now? We’re a 10-person team. Four of us work in the office: we have someone for marketing and other to handle business plans and receive orders. We’ve spent the last six months trying to optimize the order agreement process. We used to simply track the order until it’s ready and then send it. But now every order has its own schedule — every step of the process is defined so we know exactly what time it will be complete. We’ve also got an assistant for the design and construction. I’m the fourth person in the office. I do pretty much everything, but my main purpose is to be a kind of art manager and tech support on new model production. We have two people in the production hall working on cutting and sewing, three on tightening, forming, and creating soles, and another person to finish off product by polishing the shoes. Where did you find a space for production and how did you organize it? It was good luck. Before my friend left we sewed the shoes at a factory where his mom worked, which wasn’t profitable to the factory. They were very honest about it: We could sew 10 normal black boots instead of your one colorful product. We maintained a relationship with them because they have a modern production process we like. All the other manufacturers in the area were too old-school, so we knew they wouldn’t work for our purposes. My friend’s mom then connected us with a shoemaker who was selling his manufacturing space with all its equipment. He was in the process of closing his business. I called him and the rent was practically nothing. We made a deal with the understanding that I would buy this manufacturing space someday. This shoemaker even continued to help me for quite some time. So that’s how we got our first production space. It was dark and far from other manufacturers. Getting there in the winter was dangerous — you had to be careful not to break a leg. When customers came in to try on the shoes, I felt embarrassed. I could only imagine what they were thinking about during their 20-minute walk across dark factory grounds on late winter evenings. But everyone ended up satisfied and got their shoes. The customers used to take 20-minute walks across dark factory grounds on late winter evenings. I could only imagine what they were thinking. Eventually, some guys who were producing bags moved to our factory space. We became friends and started to grow together. Once we faced a terrible snowstorm with wind that broke all the windows. It was a sign that we had to move from that old space. Those same bag guys are our next-door neighbors in our new place. Where did you find the suppliers? On the internet. Those days there were just phone numbers with no product descriptions. We had to drive across the city to find good materials. Once we came to a supplier that only provided black materials — obviously, we had to move on from that. Finding good materials took ages, mainly because we wanted to make a quality product. After driving around the whole city, I decided to walk around the factory where we were working. I found the supplier right next door! They had the biggest stock of European shoe skin in every color. We started to cooperate with them and all the other accessories came through from there. For a while, we had a problem finding boxes for packaging our product. It’s also hard to find accessories for soles, so we had to develop our own high-quality production for that instead of buying more common soles at a higher price from our suppliers. Are you working with European suppliers only? Any from Asia? The most frustrating part about shoe manufacturing is price, not quantity. Almost every supplier offers plenty of product. We can buy a lot of materials, but not ready-made things. They’ll show up in our stock and end up staying there because we don’t have a high demand for that model and size. People order different things, but the suppliers often sell huge boxes of one-sized product. There isn’t any logic in size assortment. Asian suppliers sell even bigger shipments, which isn’t profitable for us. Plus, the quality of Chinese and Indian materials often leave much to be desired, so we aim to manufacture everything by ourselves. 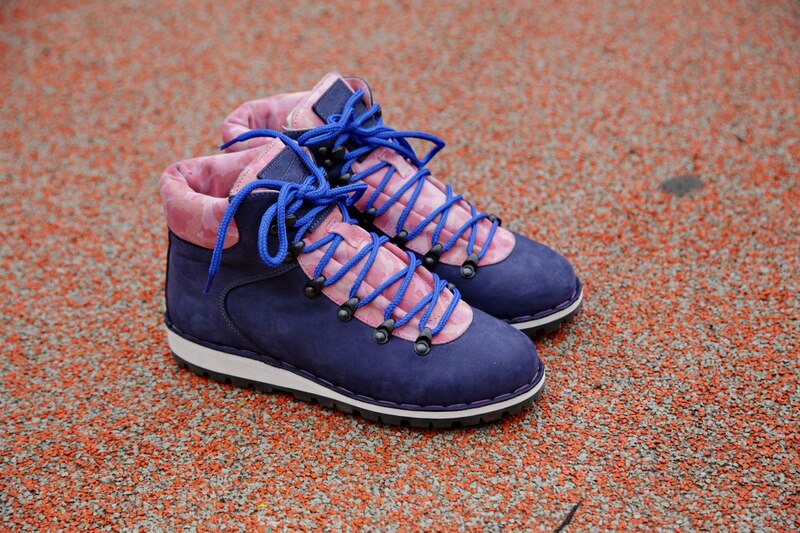 The most expensive product is the sole, which we produce by ourselves. We buy materials and make them from scratch. The customer can choose any color or size. We design and correct the soles individually, unlike our competitors who work with ready-made soles. If you make a good product, there will always be a good demand for it. Today the shoe world is moving toward cheaper production. Even expensive brands have started to reduce their prime costs. We’re not interested in that. When people come to us for a new pair of shoes, we don’t want it to be because their old ones are dead. We want them to be willing to refresh their wardrobe or find a way to change up their look. 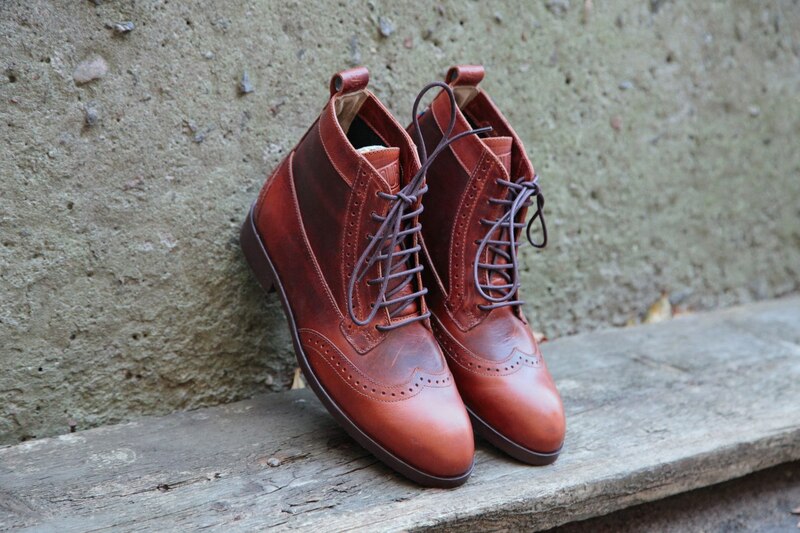 How long does it take to manufacture a pair of shoes from scratch to send it to customer? Ten workdays, including delays. But I can’t remember last time we had a delay. People are usually worried when ordering for the first time since they’re asked to measure their feet. I used to rely on that size chart, but it failed. People would say that their size was 11, but it actually turned out to be 9. 90 percent of people don’t know their size. They learn it when they come to the store and the shop assistant helps them find a pair. But the shop assistant usually doesn’t explain how the shoe should fit their foot — nothing should be pressing your foot, so there has to be a little spare room. Have you ever been told: Oh, these ones are made of skin, they’ll fit you later when you walk in them ? It’s not true, so many people have their feet deformed because they wear the wrong size, even if the shoe is expensive and of good quality. Many people have their feet deformed, because they wear the wrong size. That’s why first-time orders take about a month of coordination. We send the instructions to the customer, they measure their feet and send the data back to us. We send special size slippers for them to try on and make sure the form fits. Once the client is satisfied, we start the final manufacturing. The second time it’s much faster. Since we already know the size, all we have to do is pick out colors and make the shoes. This process has been fully automated: The catalogues are scanned so we always know what models are in stock. Where did you get your first client from? They probably found us on Vkontakte (most popular social media in Russia) where we started the first Afour profile. Once we had a showcase and a local newspaper noticed us. The first customer told us: I was on my way to shop for shoes, opened the newspaper in the train and read about you. I turned around and came to you. Show me everything you have. Do you remember the show Pimp my Ride? Our first customer yelled out in joy kind of like those guys when he got his shoes. Our first customers were pretty shocked. One wrote us: I want shoes that would match my favorite orange snapback. Then my friend came to order applicated sneakers. I’ve always thought people on TV shows like Pimp my Ride are overreacting. Once a very serious (and rich) young man came to us, opened the box and started screaming just like on TV! Later he made a full HD photo session of his new sneakers. It was clear we doing something right and it was totally worth it. We always ask ourselves: Who is our target audience? And we’ve come to realize that the love of good footwear is the only thing our customers have in common. They’re both young and old, average and well-off people. That’s why we don’t have any consumer profile. What channels do you use for promotion besides word of mouth? We registered Afour accounts in every social media. The most effective is Vkontakte, the second is Instagram and the third is Facebook. All our other social media have just nominal accounts. Instagram is successful because we take pics of every order of our customers every day, no matter how crazy. It helps customers choose — sometimes they can’t make up their own design in the constructor, so the examples come in handy. 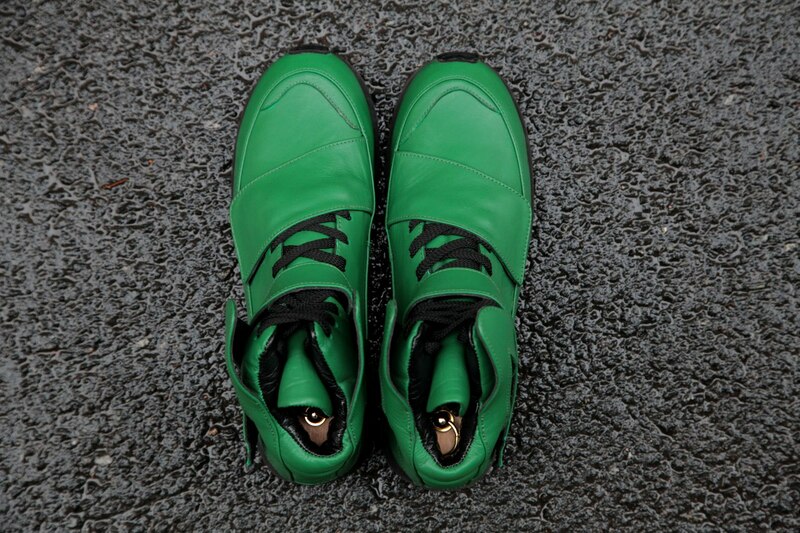 We often receive comments on our posts like: I want a pair like these, but with the green on the sides. From Instagram, we send clients who need standard models to our website. Customers who want an exclusive pair chat with me via email. We add these clients to our Ecwid store database, since we have a loyalty program. Do you use gift certificates? Yes. Creating your own sneakers is an awesome gift. People always remember us last minute, so we added printable online certificates in addition to paper ones. How do you connect with your customers? Do you do email marketing? Yes, but not often. We don’t want to be intrusive. Once a quarter we send news with new models and special offers to let keep people updated about us. Our open rate is between 15 and 20 percent. Newsletters works great with offline sales — we often sell shoes at fairs and art shows. We send the newsletter to our Moscow clients and invite them to check out new collections. How do you sell offline besides fairs and showrooms? We’d like to partner up with shops, but it’s not that easy. Offline retail is getting old and sluggish, the greatest accomplishments of those shops now is that they’re also on Instagram. So we don’t care about offline retail that much. We ask shops how they pick up the right size for a customer, how they choose their products and how they present them — but they don’t seem familiar with those questions. They often even don’t know their AOV, especially young businesses. We can’t work with stores like that. That’s why people come to us, even though we’re far from the heart of the city. They come and bring their friends, because they know they’ll get service that they won’t get in other stores. Shop assistants at regular retail stores aren’t typically in love with their jobs. They just want to sell. They don’t care if the customer comes back or if the shoes are comfortable. First of all, we are not a store, but a manufacturer. That’s why we gather maximum information about our customers. People in showrooms always wonder why we ask for the size first, offer to take measurements and then offer shoes to try. It’s important to collect data for statistics to make shoes even better. How many pairs do you sell in a month? Last season it was 270 pairs, but the number is increasing every month. 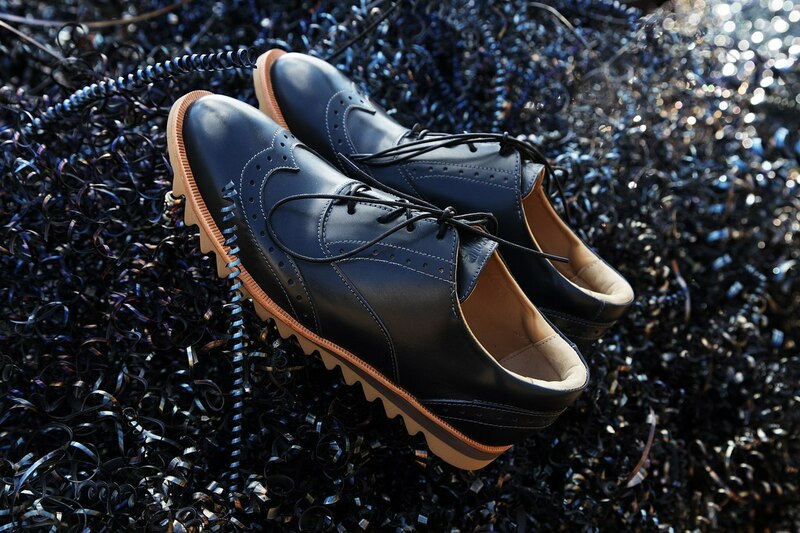 60 percent of all shoes are exclusive orders, 40 percent are ready-made models. How many people come for the second pair? About 30 percent, which isn’t very high. I think it might be because we make high-quality shoes that last for a while. Sometimes the customer is super satisfied, but doesn’t show up again for another year. And then when they do they say I want more. Their first pair is doing just fine, but they want another. Some customers wear our shoes every day. Many people come to us with questions about proper shoe care. People are starting to look for quality. They’re tired of buying a bunch of cheap shoes that hurt their feet. Many people still have the mindset of: I’ll buy textile flats and will throw them away at the end of summer and then wonder why they are having back pains. That’s why we are working on our summer collection. But our strongest product is still winter boots. Our boots are likely the warmest and most comfortable on the market. We use organic wool, lightweight soles, and special protectors. We see sales go up in autumn and winter because people here take their boots seriously. All over the world. The only places you can’t order Afour footwear are currently Africa and South America. We ship abroad mainly by local Russian post. It’s strange but it works great. Tracking is fine and the cost is decent. If you send shoes to Australia via EMS, shipping costs about 25 percent of the shoe price. We use Business Insighter to gather statistics. It’s convenient to check out how fast the orders and payments come. We also have the Mailchimp integration for the newsletter so new emails automatically go to the mailing list. Sometimes we use Bulk product editor. Most immediately, we plan to grow our collection to cover a wider audience. We plan to refresh our online constructor — we’ve got a lot of ideas that aren’t currently being implemented. Our main goal is to provide excellent service. Even if you are technically sound, you won’t get far without good service. The first priority is to simplify the process of trying on your first pair remotely, since it takes a long time. What advice would you give to yourself three years ago? Better safe than sorry. Also to learn to see the product through the customer’s eyes and listen to their feedback. At the beginning it might seem like you know how to best do things. But you should know how that looks to customers — it makes sense. Keep your eyes wide open.